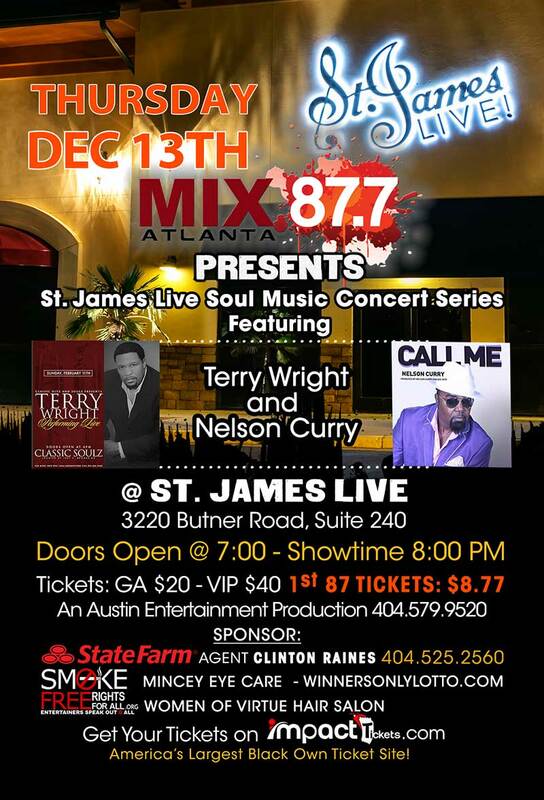 Tickets for Terry Wright and Nelson Curry at St. James Live in Atlanta from Impact Tickets, LLC. MIX 87.7 persents St. James Live Soul Miuic Concert Series Featuring Terry Wright and Nelson Curry. This is a night to lay back and chill. Limited number of seats avaialbe.